To those who had the pleasure of knowing and loving Tom Mathews, their lives were made richer, for in the very heart of Tom, his sense of integrity and dedication knew no bounds. A loving family man, Tom worked hard to provide for those entrusted to his care. He was a wonderful example for his children and grandchildren to live by, and friends considered him ever loyal. With faith as his guide, he lived fully in the love of his Lord and devotion to his family. Although deeply missed, Tom leaves a lasting legacy always to be remembered. Tom’s story began in the year 1928. An exciting time in our nation’s history, the Roaring Twenties redefined the culture of America while the entertainment industry reached new heights. The discovery of Penicillin forever changed the field of medicine, and legendary baseball players set astounding records. Although the U.S. was on the brink of the Great Depression, a most welcome event in the lives of Charles and Katherine (DeLozier) Mathews was the August 21, 1928, birth of their little boy, Thomas Roger Mathews. Born and raised along the rolling foothills of the Allegheny Mountains in Altoona, Pennsylvania, Tom was the third of eventually eight children in his bustling household. His father worked as a jeweler and watch repairman while his mother remained at home with Tom and his siblings, Patricia, Helene, Georgia, Terry, Michael, Susan, and Nancy. Despite the turmoil of the Great Depression, Tom enjoyed a childhood typical of his generation. Raised in faith, he sang in the church choir and as a young boy he also enjoyed time with his horse, Dolly. And by the age of seven he was already learning the craft of watch repair from his father. 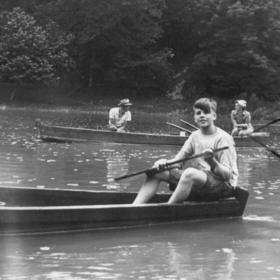 Treasured times were shared with his family at their wooded, rustic cabin located on the Racetown River in Pennsylvania where Tom and his family experienced many adventures. Tom valued growing up along the Pennsylvania mountains where he loved hiking. He also enjoyed hunting pheasants and rabbits, and fishing. In high school, Tom was a friend of many and ran the 100 yard dash on the track team. 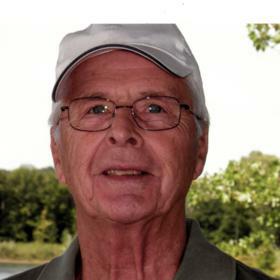 After graduating from Altoona High School in 1945, he worked for his father but soon moved to the city of Philadelphia to do watch repair at an associated company. He later relocated to the riverfront city of Grand Rapids, Michigan where he landed a job working at Herpolsheimer’s Department Store doing watch repair. It was there that Tom became acquainted with the young woman of his dreams, Miriam “Mickey” VanOosten who worked in the women’s lingerie department at the store. Tom and Mickey enjoyed their first date together swimming at Myers Lake. The couple went on to date for a year, and deeply in love, they were happily married on September 3, 1948, at the “Country House” followed by a reception. The two honeymooned in Pennsylvania at Tom’s family cabin, and quite rustic, Mickey didn’t much care for all the snakes there! After returning home to Grand Rapids, they first lived in a small trailer until Tom was drafted to serve in the U.S. Navy during the Korean War. Stationed on the USS Hooper Island-ARG17, he served for two years doing repairs working as a field glass repairman on binoculars. After his honorable discharge, Tom and Mickey bought a home on Kentfield in Wyoming, Michigan, remaining there for five years. They later built a home on Evansdale Street where they raised their family and remained over the next 40 years. Tom was the proud father of three wonderful children. Nancy came along in 1955, Sally in 1957, and Daniel completed their household in 1962. Always a hard worker, Tom supported his thriving family working at Lear Siegler, later known as Smith industries, and again later as Jet Electronics and Technology until his eventual retirement over 30 years later. 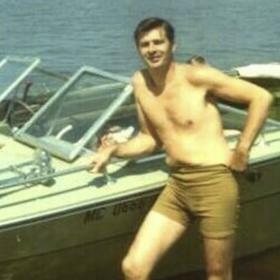 To be cherished are the memorable times Tom shared with his family over the years renting cottages on White Lake, Hamlin Lake, Silver Lake, or Elk Lake each summer. There they thoroughly enjoyed boating, fishing, family cookouts and making wonderful memories around bonfires. He loved bicycling with Mickey, and Tom’s love of tennis was his sport of choice. Fishing for salmon on Lake Michigan was another one of his favorite pastimes, along with his vast collection of watches. 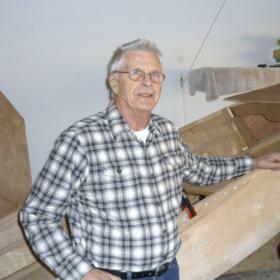 Among his hobbies, nothing compared to Tom’s talent as a fabulous woodworker. 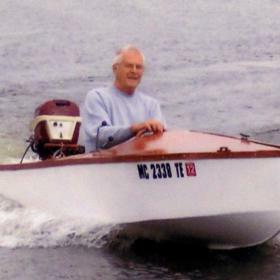 He made many wooden boats for his family to enjoy, but his all-time favorite boat was the “Green Weenie”. He also made many clocks from wood for family and friends, and a wooden kayak he enjoyed. Tom acquired quite a workshop, having made many model boats from wood. Although he never cooked much, Tom was known to have fried up piles of bacon for breakfast, and as a weekend grill master, steaks, dogs and burgers were his specialty. An avid Detroit Lions fan, when it came to music Tom loved country music and legend, Johnny Cash as well as the sounds of Ray Stevens. When his children married and had families of their own, Tom loved visiting with his grandchildren and later, great-grandkids. He never missed one of their school, sporting or other special events. Tom found in his family his greatest joy. He held much love in his heart for each of them, and in his eyes, each one was special in their own, unique way. Tom loved eating at all-you-can-eat buffets, and along with his grandson, Tom would often compete to see who could eat the most food. Tom always won and made sure he got his money’s worth. He also loved anything with whipped cream and his favorite, cheesecake. Upon retiring, Tom and Mickey sold their home and bought a condominium. Even then, Tom’s love for woodworking didn’t wane. He was sure to have a workshop and he even built a full sized boat there. Always handy, he could fix anything. The couple spent several months each year at a resort in Ft. Meyers Beach in Florida where they met up with the same friends each year. Tom recently took a fall in his home and was admitted into the hospital where his health sadly diminished. It wasn’t long before Faith Hospice was called in and his family never left his side, keeping vigil at his side until parting to be with his Lord and Savior Jesus Christ. A dedicated and faith filled man, Tom will be deeply missed and fondly remembered as a loving husband, father, grandfather, great-grandfather and a friend to all. Thomas R. Mathews, aged 89 of Grand Rapids, passed away at Faith Hospice at Trillium Woods Saturday, April 28, 2018, entering into eternal glory with his Lord and Savior, Jesus Christ. He was preceded in death by his daughter-in-law, Lynn Mathews and his seven siblings. He is survived by his wife of 70 years, Miriam “Mickey” Mathews (VanOosten); his children, Nancy (Chris) Kay, Sally (Doug) Smith, Daniel Mathews and fiancée’, Jan Viglione; grandchildren, Chad (Jennifer) Russ, Dr. Brian (Kris) Russ, Thomas (Megan) Russ, Mitchell Smith; six great-grandchildren; many sisters-in-law, brothers-in-law, nieces, nephews, and friends. Cremation has taken place. A service to celebrate Tom’s life will be held Saturday, May 5, 2018, 2:00 pm at Heritage Life Story Funeral Home, 2120 Lake Michigan Dr. NW. Relatives and friends may meet his family at the funeral home on Saturday May 5, from 1:00 pm until the service begins at 2:00 pm. Burial in Rosedale Cemetery. Contributions in his memory may be made to Faith Hospice. 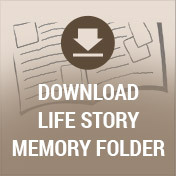 To read more about Tom’s life, to leave your own memory of him and to sign his guest book, please visit his web page at www.lifestorynet.com.